Eat, grow, and slither your way to victory with these Slither.io-like games! Developed by Steve Howse, Slither.io is an immensely popular but simple online game where you start off as a small snake, gradually growing longer and larger as you consume glowing orbs scattered across the map or dropped from killed opponents. The game is in essence a modern take on the classic Nokia ‘snake’ game with better graphics, a large ‘arena’, and multiplayer support. 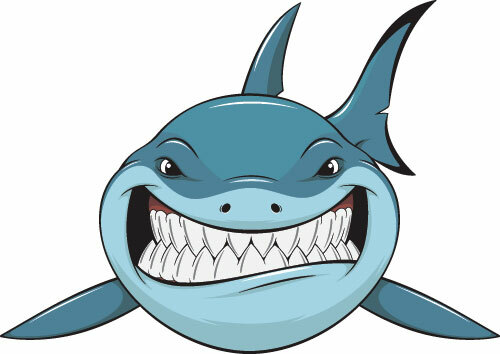 There’s also a keen level of competitiveness as you try to trick other ‘snakes’ into knocking you, causing them to die and creating a hungry pit of diving feeders. Thanks to a number of YouTube playthroughs, Slither.io has grown to become one of the most played online games in the world, attracting tons of players and raking in tens of thousands of dollars in ad revenue a day. That being said, Slither.io is not the only addictive game of its kind available. Here are 10 alternative games like Slither.io worth checking out! (Also check out our list of Games Like Agar.io). Each game involves players having to ‘eat’ objects and/or ‘grow’ in size / trail in some form or another. Basic graphics; should be at least playable on most computers / devices. Easy controls, no complicated gameplay mechanics. All images / videos copyrighted to their respective owners. This post contains iTunes & Amazon affiliate links. No list of games like Slither.io would be complete without Agar.io – the preceding king of online games of this sort. Unlike Slither.io, you don’t control a snake but a small colored 2D cell. However, similar to Slither.io, the aim of the game is to grow larger as you swallow up scattered dots and other player-controlled cells smaller than you. You can also ‘split’ your cell into smaller parts, strategically projecting yourself outwards to consume nearby foes. Also like Slither.io, you move faster when smaller, but begin to slow down as you gain mass. You won’t be able to ‘encircle’ your opponents in true ‘snake’ fashion, though there’s still a lot of strategic depth in timing the precise moment to ‘shoot out’ and consume your opponents. 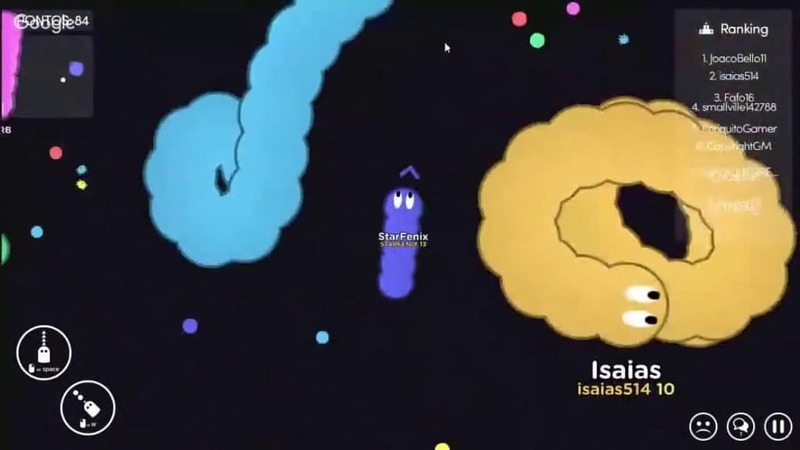 Some players have described SuperSnake.io as a unique mix of both Slither.io and Agar.io. Similar to both, the main aim of SuperSnake.io is to consume scattered objects in order to grow bigger and longer. However, the game does include a number of unique power and level-ups that change the basic gameplay up. There are also scattered spiked walls that can kill you instantly if you knock into them. The pace of the game is slightly slower than Slither.io but is no less intense in competitiveness. Definitely worth checking out for those in search of more games like Slither.io! If you’re looking for a near exact clone to Slither.io for your mobile device, look no further than Worm.is! This app plays out almost the same as Slither.io: you control a snake (or worm?) with your touch screen, you eat scattered items, and try to trip up your opponents and swallow their leftovers! One big plus point is that Worm.is is far less popular than Slither.io, meaning there’s less lag when playing on your iPhone, iPad, or Android device. Worm.is also comes with plenty of unique skins (there’s a nice skeleton one!) and some unique gameplay tweaks (e.g. you can both speed up and eject mass, like in Agar.io). Animations are smooth and colors are vivid. 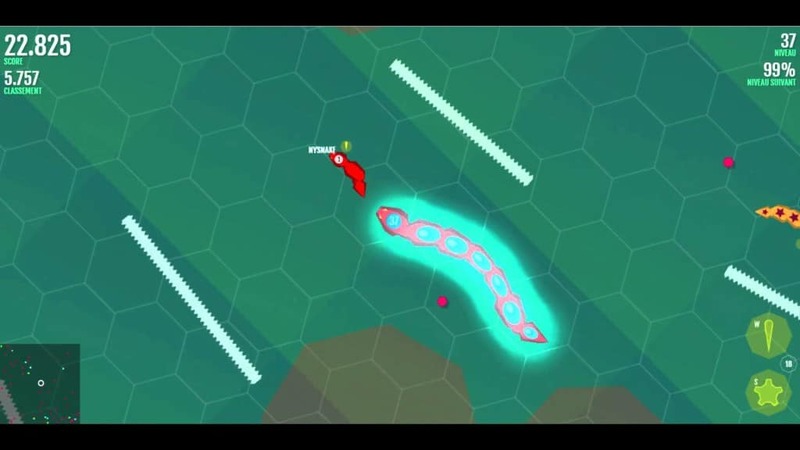 One of a few copycat games like Slither.io worth checking out! 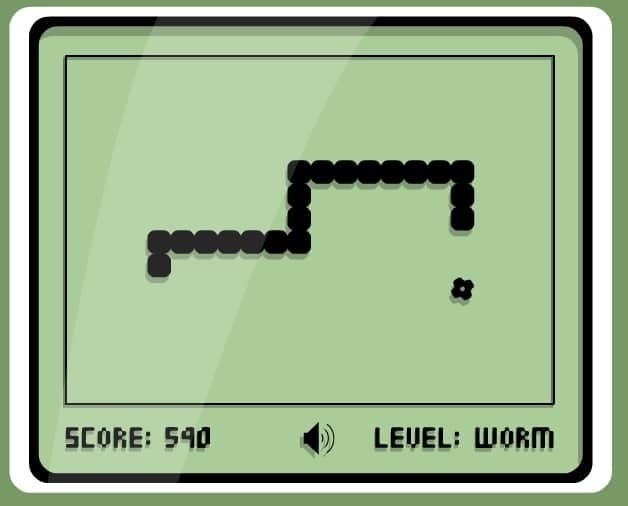 Years before Slither.io there was the old-skool Nokia Snake Game. A popular favorite among retro phone lovers, this single-player pioneering game is as basic as it comes. All you have to do is keep eating objects randomly generated across the screen, grow larger, and try to beat your high score till you eventually kill yourself by tripping on your own tail. While not officially endorsed by Nokia, there exists a Flash version of this simple game that can be played online for free. A perfect office game to alternate-tab out of when you see your annoying boss coming. Play Nokia Snake Game Online. Although not widely known, Slither.io actually shares a lot in common with the classic arcade game Tron. In it you control a Tron vehicle that leaves behind a trial of color that causes death to whomever touches it (including yourself and opponent). In other words, it plays very much like Snake. 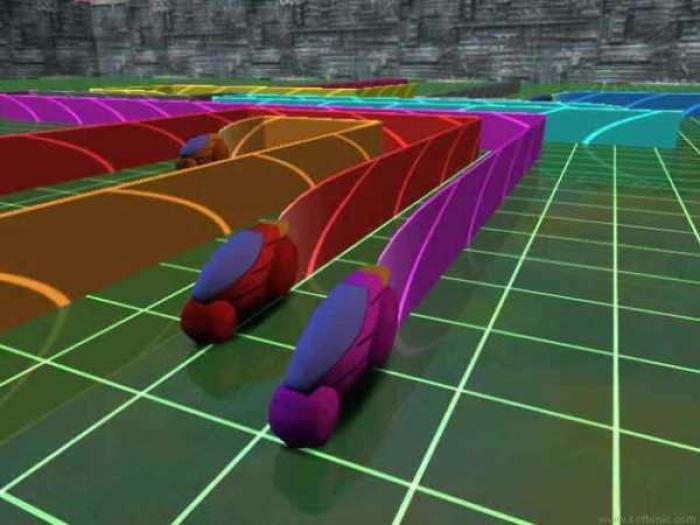 Now, Armageddon Advanced is a free online multiplayer game that adds a cool 3D perspective to this simple Tron concept. You won’t be eating glowing orbs, but anyone wanting to try games like Slither.io with a 3D twist will most surely want to check out this revamped version of an inspiring classic. The good news is there are always plenty of player-filled servers online to join at any time. Thanks for the helpful suggestion! We’ll give it a try and then add it in. Appreciate it!